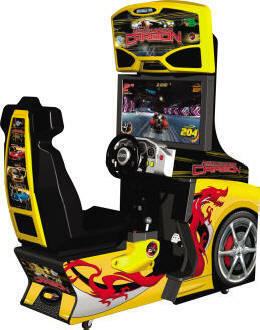 game play on both the marquee and on rear of the seat. 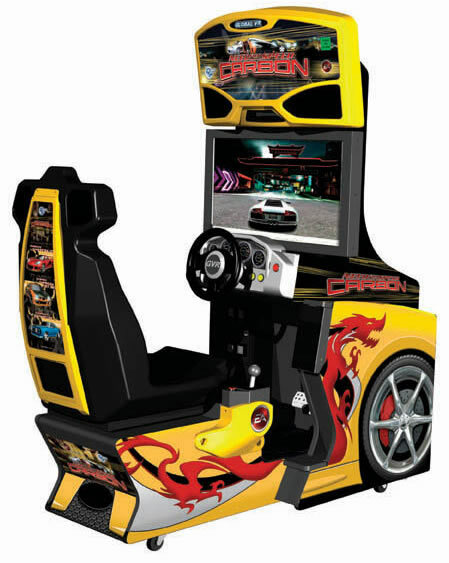 The newly designed two-piece cabinet now fits through ANY doorway and installs easily, and comes with Dolby 5.1 Surround Sound, realistic driving controls with a 6 speed shifter, E-Brake and new "NOS' (Nitrous Oxide) pedal on the floor of the cabinet, allowing gamers to keep hands on the wheel as they streak past their opponents! the color of your body paint! Extensive menu allows for personalizing any cabinet and backing up all player data. or “Link” with up to 4 others players to race ! 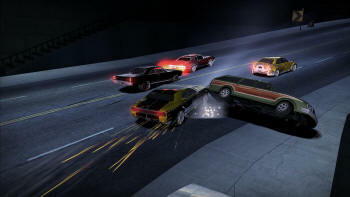 Need For Speed Carbon Motion Deluxe Model - This anticipated release is the newest installment in the "Need For Speed" series of race games. 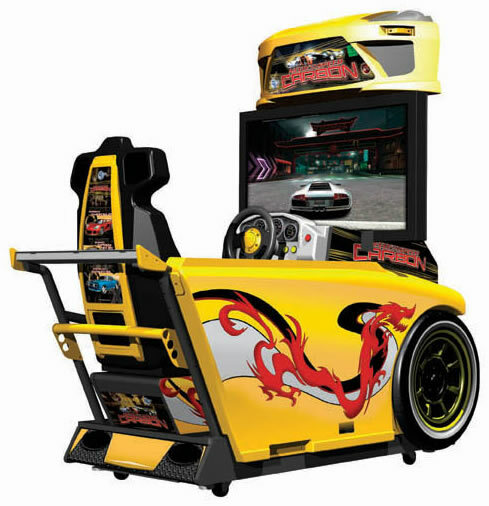 This stunning new arcade racer features extraordinary attractive cabinet designs and awesome "in-your-face" onscreen racing graphics presentation. 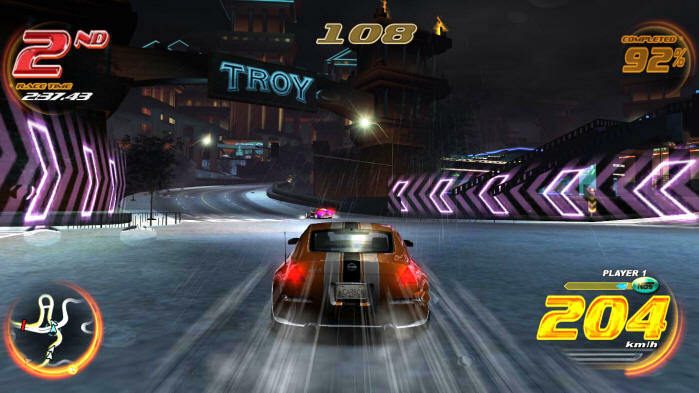 As added interest for spectators and passers-by, special lighting is synchronized with game play on both the marquee and on rear of the seat. 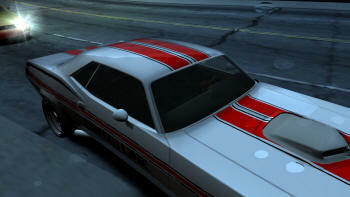 New features included over 50 different cars and 3 car types (Exotic, Import and Muscle). 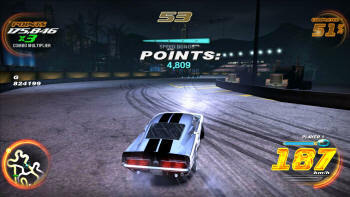 Players can save up to 52 cars and race two careers, each with over 100 races. 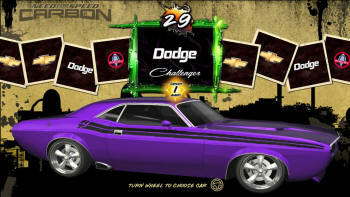 Play and collect multiple cars, now with no player cards needed! 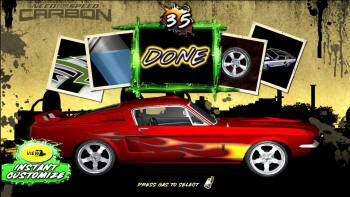 Earn special cars like fire trucks and dump trucks! 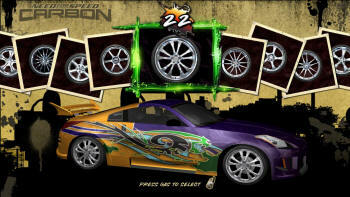 Personalize all of your collected rides with new rims, tires, body/aero kits and graphics, and even instantly change the color of your body paint! 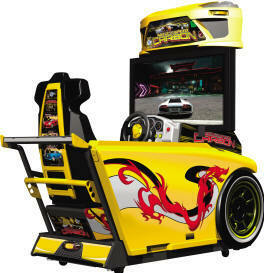 Extensive menu allows for personalizing any cabinet and backing up all player data. 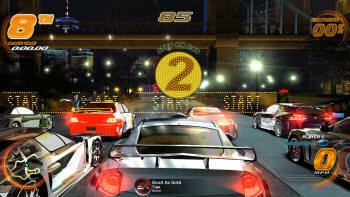 "head-to-head" with up to 4 players. 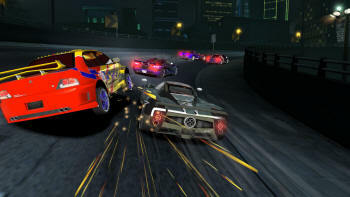 Players experience extreme Drift Racing that gives a totally realistic Drift Racing experience, while also being able to play solo or “Link” with up to 4 others players to race ! 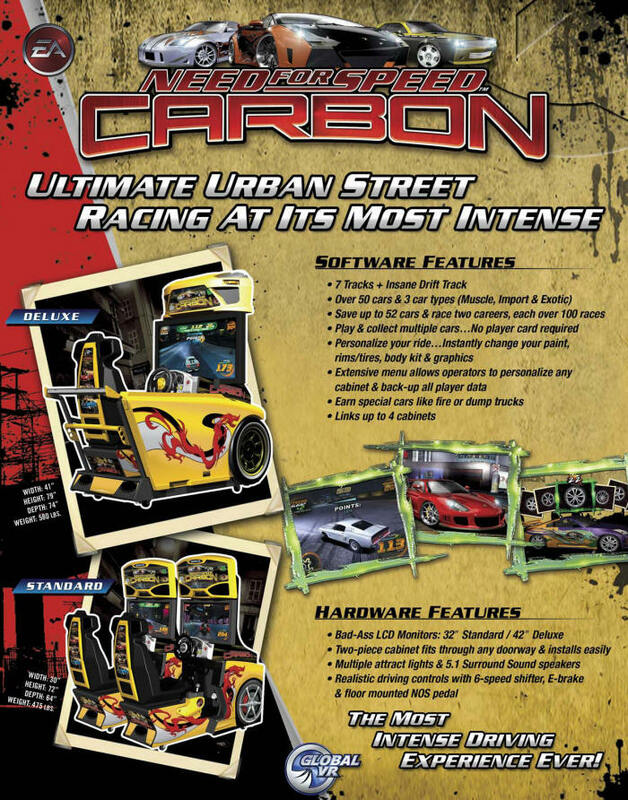 of the Need For Speed : Carbon Racing Arcade Game features ! 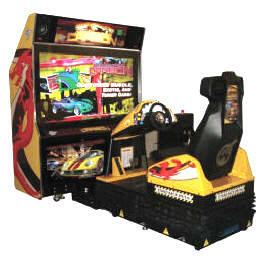 Click Here to View All Other Video Arcade Racing Machines !